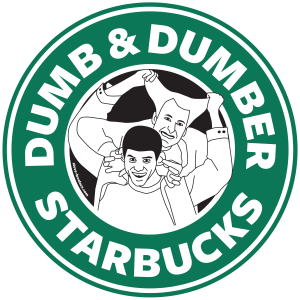 A comedian named Nathan Fielder recently opened a coffee shop called “Dumb Starbucks”. It looked and felt just like a real Starbucks, but everything on the menu had the word “Dumb” in front of it, such as “Dumb Caramel Macchiato” and “Dumb Latte”. There were even “Dumb Norah Jones” CDs on the counter. While this fake Starbucks was giving coffee away for free, the Los Angeles County health department quickly shut it down for being an unlicensed restaurant. Now the question remains, was this an unlicensed restaurant blatantly infringing on a major corporate trademark, or a bizarre piece of performance art bringing attention to the issue of copyright and corporate branding? Either way, Dumb Starbucks is far from the only fake Starbucks chain out there. Around the world, there are all kinds of fake Starbucks stores. Most of these are just Chinese knockoffs, but some are more creative than others. With that in mind, I decided to brainstorm my own ideas for Starbucks parodies. Here’s what I came up with. When I first heard about Dumb Starbucks, my initial thought was “Why does it have to be dumb?” Why not a Smart Starbucks? A Smartbucks, if you will. A lot of intelligent people go to the regular Starbucks, so why not entice them to try somewhere smarter? Of course, the downside is that you’d have to hold yourself to a high standard of “smartness”, something that’s not necessary at the coffee shop’s dumb counterpart. I feel like Fielder and his Dumb Starbucks team missed out on some amazing cross-branding. If they’re going to go with the “Dumb” branding after all, why not co-brand it with the movie “Dumb and Dumber”? After all, they’re making a sequel to this 20-year-old film, so now’s as good of a time as any to include Lloyd and Harry in the Dumb Starbucks branding. If you wanted to do some smarter cross-branding, you could always go with Star Trek Bucks. 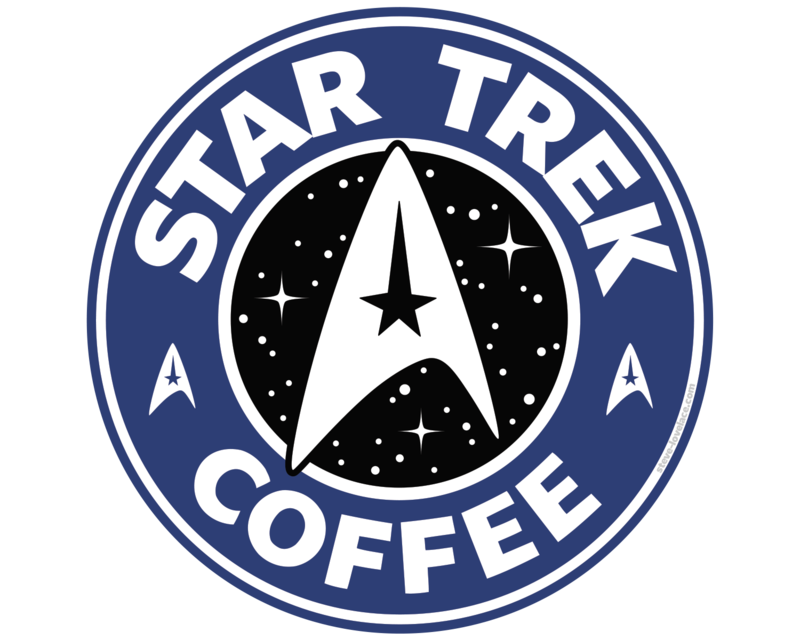 With the “Star” in your name, you’re already half way there, and who wouldn’t want to have a cup of coffee on the Starship Enterprise? Honestly, I’m amazed there aren’t Star Trek themed restaurants everywhere. 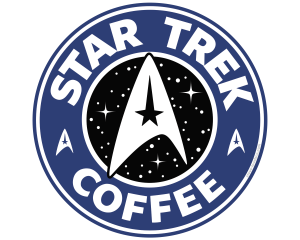 I would love a coffee shop that looked like Ten Forward, though I realize I’m biased toward Star Trek. There is another “Star”-themed nerd franchise out there, which leads us to our next fake Starbucks idea. If Star Wars is more of your thing, maybe you can go to the Mos Eisley Starbucks, a coffee shop based on the Cantina from Star Wars. The people-watching at Mos Eisley Starbucks is amazing, though you might want to make sure you’re armed before entering. Some people are just going to hate Starbucks no matter what. Maybe it’s the fact that they put smaller coffee shops out of business. Or maybe it’s the way that they heavily roast (some would say “burn”) their coffee. Worry not, Starbucks haters. There’s a fake Starbucks for you: the Not Starbucks. It’s basically the Opposite Day of coffee shops: think about what Starbucks would do and do the opposite: lightly-roasted beans, almost green; heavy metal music playing over the loudspeakers and “small”, “medium” and “large” drink sizes instead of “tall”, “grande” and “venti”. Imagine that. These are the ideas for parody Starbucks stores that I was able to brainstorm. What kind of Starbucks would you make? Let me know if the comment section.